Leipzig is Germany’s ‘Little Paris,’ at least if a character in ‘Faust’ were to be believed. After all, this is the city that gave the world the musical genius of Bach, Wagner and Mendelssohn, and on the artistic front, neo-realists Rauch and Baumgartel. Perhaps the comparison then is fitting albeit Leipzig’s less grandiose display of its cultural and musical heritage than the Gallic capital. Start with paying homage to the man who brought us Fugue in D Minor and Toccata by visiting the Bach Museum, or laying a flower nearby, on his grave at the altar of St. Thomas Church where he was cantor for more than 25 years. 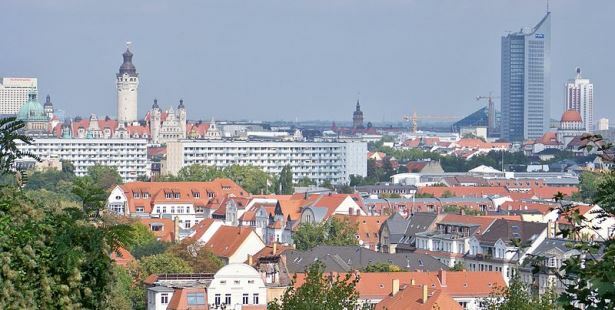 You don’t have to come in late May or early June to join the Bach Festival, although it would be a good idea to book your accommodation in Leipzig, Germany well ahead of the schedule if you plan to attend. Come in anytime and indulge your auditory senses with the soaring ‘passion concerts’ and ‘oratorios’ of the 800-year-old boys’ choir Thomanerchor at the Gewandhaus zu Leipzig. Or join the Leipziger Notenspur (a recent effort to mark the historic trail of classical music in the city) and follow the steel strip as it winds through the city to mark the houses and work places of eminent composers such as Felix Mendelssohn-Bartholdy and Robert Schumann. Then dive right into the heart of Auerbach’s Cellar, one of the oldest taverns in Germany, in existence since the Middle Ages. Follow in the footsteps of Goethe, who used the wine bar as his setting for ‘Faust,’ and enjoy cocktails at the Mephisto Bar. If you are inclined in the covert history of Leipzig, a peek into the world of East German Secret Service may be in order. The Stasi Museum stands at the very administration office where GDR clandestine operations were carried out. Perhaps because of their very presence in the city, the residents launched a (peaceful) revolution in 1989 which called for, among others, the demise of divided Germany. The effort paid off; it led to the fall of Berlin Wall. This musical city is equally rich in pre-WWII history. Take time to venture out of your bed and breakfast in Leipzig, Germany and into the Old City Hall, built in mid-16th century, and now a museum; its newer counterpart, built on the remains of an early 15th century castle, is the current seat of the city administration. The Monument to the (1813) Battle of the Nations, which marked the defeat of Napoleon’s France, has just turned centenarian. Not very obvious at first glance like the ornate architecture that has defined the city and reconstructed after WWII, Leipzig has plenty of ‘lakes’ (from open-cast mines) and green spaces that allow for various outdoor recreations without getting farther than 10 kilometers from the city center. Rent a kayak, cast a fishing rod, or simply laze away on a boat to relaxation. In the German tradition of Yuletide celebration, Leipzig’s Christmas Market is one of the most anticipated shopping events in the city. Beat the rush and the mad scramble for hotels in Leipzig Germany by stocking up on your presents as early as late November (the market closes on Christmas Eve). Hundreds of stalls are usually scattered throughout the city, although a concentration of them can be found along the Nikola and Peterstrasses next to the Nikolai Church. This 12th century church was where the call for German reunification was loudest, so take time to look around and learn of its role in helping end the Cold War.